Compositech manufactures several filters for use in chemical and petrochemical industrial process applications including horizontal belt filters, disc, and drum filters. 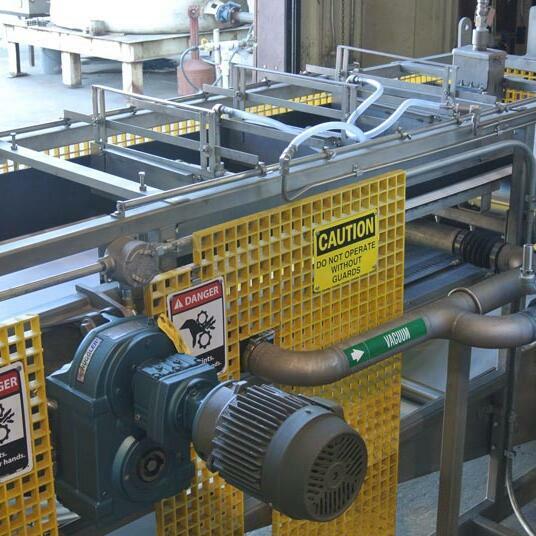 We produce a line of horizontal belt filters designed specifically for chemical filtration. In manufacturing these filters, we use special chemical resistant materials for the frame and for coatings. If needed, we manufacture a full enclosure for our horizontal belt filters to accomodate the processing of toxic materials. 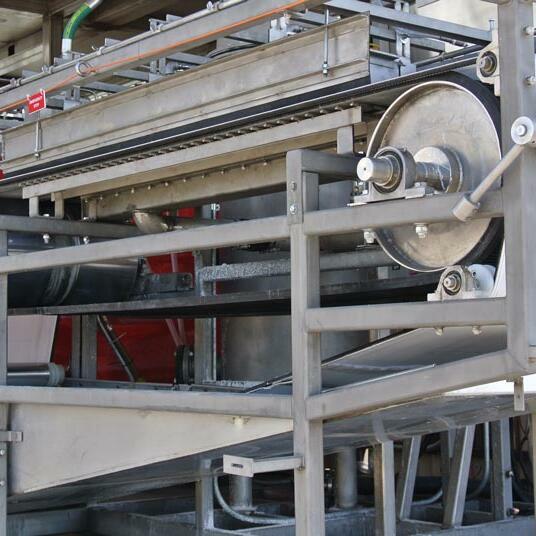 Compositech’s horizontal belt filters are in operation processing many different types of slurry including fibrous materials, fine slimes, and coarse granular and crystalline solids. Compositech produces disc filters and spare parts specifically manufactured for use in petrochemical & chemical processing. When disc filters are used for chemical processing with a pH level as low as 0.3, the cast iron or carbon steel centershaft regularly supplied by the manufacturer rapidly fails due to extensive corrosion. Our Compositech Composite Centershaft is made of engineered plastics, pultruded fiberglass reinforced resin, and elastomers that all withstand extremely corrosive environments. Compositech's centershaft has been successfully used to replace Eimco® Agidisc™ filter centershafts for effective long term use in a chemical processing application. Compositech drum filters have been used by customers in the chemical processing industry as well as in the processing of pharmaceuticals and cosmetics. Drum filters have various discharge options and the discharge methods most often used in the processing of chemicals are precoat discharge, belt discharge, roll discharge, and string discharge. In addition to our Compositech filter models, we provide replacement parts for other filter brands including Ahlstrom, Alar, Ametek, Andritz, Beloit Jones™, Celleco™, Dorr-Oliver®, Eimco®, IMPCO™, Komline-Sanderson®, Larox, Pannevis, Peterson, Westech and most other brands of filtration equipment. Our replacement parts meet or exceed the quality and material of OEM components and are manufactured by and warranted by Compositech. Compositech is not an authorized replacement parts or services supplier for GL&V®, GL&V and design®, CELLECO™, Beloit Jones™ and/or IMPCO™ brand process equipment or parts therefor nor is it in any way associated with GL&V USA Inc. or its affiliated entities.